Our mission is to provide our patients with the skills they need to function at their highest level of independence and improve their quality of life. We accomplish this by working closely with the patient and their family to develop an individual patient-centered plan of care that ensures the best outcome. Gulf Coast Therapy shared a post. I dealt with long-term nauseating pain in center of my back. My job entails standing, lifting, pushing, pulling, crawling, reaching, etc. the pain would start early in the day and worsen throughout the day. Using the exercises I have been taught by this wonderful staff, the worst I experience is a dull ache sometimes. And I know how to stretch it out now! YAY!!!! 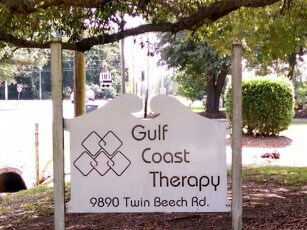 I am very pleased with the facility and therapist at Gulf Coast Therapy. I attended per my doctor’s request. They worked with me, helped with my exercises and very attentive to my needs. Each PT was very through and took great pride in what they were doing. If the need arises again and I need PT, I will gladly go to Gulf Coast Therapy. When I first arrived I could not walk far (50 yards) without noticeable pain and without a noticeable limp. Walking up and down stairs was slow, difficult and painful. Seven weeks later, I can walk at least a mile with little to no pain and stairs are no longer an obstacle. Much of this is attributable to the thoughtful focused physical therapy I received at GCT! Where is Your Back Pain Coming From?